Indian rupee rose against the dollar as it strengthened past 69 per dollar mark for the first time since August 2018. The rupee appreciated against the dollar on Monday to rise above the 69 mark for the first time in more than seven months. 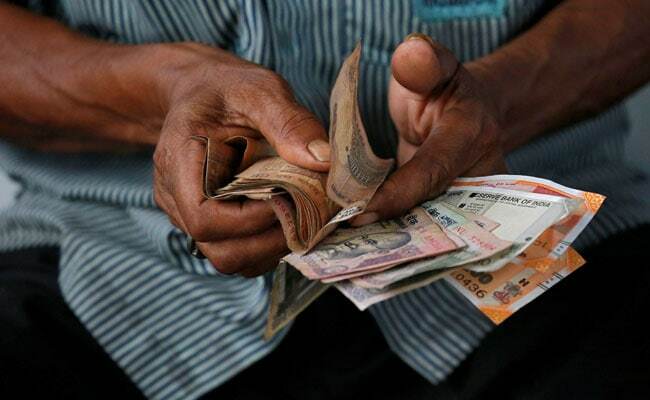 The rupee advanced by 57 paise against the dollar to close at 68.53 for the day. That marked the strongest closing for the rupee against the US currency since August 1 last year, and the first above the 69 mark since August 10. Strong dollar inflows and weakness in the greenback overseas aided sentiment in the forex markets, boosting the rupee, say analysts. Monday's gain marked the sixth consecutive session in which the rupee appreciated against the greenback. The rupee opened at 68.92 on Monday - as against its previous close of 69.10 - and rose by as much as 65 paise to hit an intraday high of 68.45 during the session. According to analysts, continuous foreign fund inflows along with easing of concerns about the trade deficit supported the rupee. "Indian rupee continues advancing for the sixth day in a row, marking the best performer among the Asian currencies in today's trade amid better than expected trade data and foreign fund flows," said VK Sharma, head PCG and capital markets strategy at HDFC Securities. The dollar index - which measures the greenback against a basket of six major currencies - was last seen trading 0.20 per cent lower at 96.40. "We have seen large (dollar) inflows in the last few days hitting the market. USD-INR swap window followed by lower trade deficit added to INR strength," news agency Reuters quoted Paresh Nayar, head of trading desk at First Rand Bank, as saying. Meanwhile, the country's trade deficit narrowed to $9.60 billion in February thanks to a fall in gold and oil imports, according to official data released last Friday. Gold imports fell sharply in February, as it declined 10.81 per cent year-on-year to $2.58 billion, compared to $2.90 billion during the same month a year ago. Mr Nayar said he expects 68.50 to act as next support for the unit. "I don't think many would have expected such sharp appreciation with the RBI not intervening aggressively and with inflows still lined up." The Reserve Bank of India's announced a $5-billion plan last week to swap rupees for dollars with domestic banks. In a bid to mop up dollars and pump in rupees, the central bank said on Wednesday it will conduct its first dollar/rupee buy-sell swap auction on March 26, analysts said.